Gautam Gambhir is one of the most underrated names in the history of Indian cricket. The Delhi left-hander was always up for a battle. If you take the three most prestigious limited-overs trophies India have won this decade, Gambhir has played a critical role in two of those finals (World Cup in 2011, World T20 in 2007). He had a successful international career but he will also be remembered for his IPL exploits. He started off with his home side Delhi Daredevils (DD) and played there for the first three seasons before he moved to Kolkata Knight Riders (KKR) in 2011. 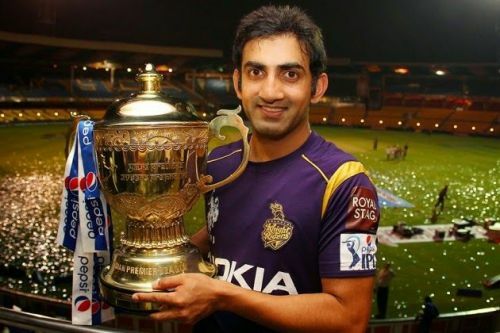 Gambhir’s move to KKR changed the franchise’s fortunes as well as after a sedate first three seasons they won two titles (in 2012 and 2014) under the left-handed opener’s captaincy. In fact, Gambhir’s success as a captain and batsman also came at KKR. In the six years, he was at KKR, he amassed in excess of 300 runs every single season. However, he moved back to DD in 2018 and didn’t have a great start and he eventually dropped himself from the team. Hence, as Gambhir bids adieu to the game, let’s look back at some of his best IPL knocks. After a lacklustre three seasons, KKR were desperate to turn their fortunes. This was Gautam Gambhir’s first season with the Kolkata franchise and they were off to a winning start. In the second game of the fourth edition, they faced Rajasthan Royals in Jaipur. KKR inserted the home team in to bat first and restricted them to 159. Most RR batsmen got starts but no one could convert it into a substantial score. Chasing 8 runs per over, KKR lost Manvinder Bisla early and they were 8/1. Gambhir then walked in at 3 and changed the tempo of the innings. He struck a composed 44-ball 75 to help KKR cruise to the target. He shared an unbeaten 152-run stand with Jacques Kallis (who scored 80 in 65 balls) as KKR wiped off the chase with 9 balls to spare. Gambhir in his 44-ball knock struck 11 fours and 1 six as he looked in total control of the proceedings in the middle. For his unbeaten knock of 75, the then KKR skipper was awarded the Man of the Match.